Throughout three years of his four-year term, Township of Irvington, NJ, Mayor Tony Vauss has proven to be a great fit for the community and a true advocate for improving the Township’s safety and cleanliness. Entering re-election in 2018, Mayor Vauss is a no-brainer pick for leading the Township of Irvington, NJ. For anyone wondering why Tony Vauss is the right choice to be the Mayor of Irvington, NJ, the answer is simple when you look at the goals Mayor Vauss has accomplished over the years. Reducing the violent crime rate by 80 percent, generating $4 million in additional revenue, and paving 54 streets in the Township of Irvington, NJ, are just some of the many accomplishments of Tony Vauss as the Mayor of Irvington, NJ. 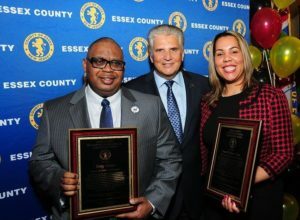 On top of accomplishing these amazing feats despite not raising taxes in the Township of Irvington, NJ, Tony Vauss has also been recognized for his work by receiving various accolades. Although he has already made huge strides for the community of the Township of Irvington, NJ, Mayor Tony Vauss is not resting on his laurels. He continues to work hard toward his goals and is constantly out to prove why he is the right choice to lead such an outstanding community.